One of the benefits of being a demonstrator is getting selected product a month earlier than our customers so we can prepare for workshops. 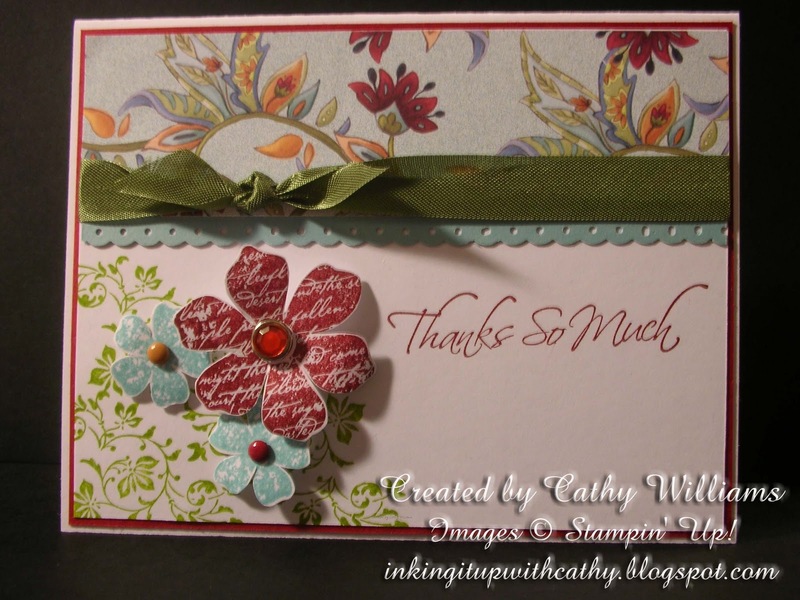 Here is another "Thank You" card for the upcoming Necessities Bag workshop I am doing using the designer series paper which will be in the main catalog in July but you can order now with a $20 order of other merchandise. It is one of my favorite papers ever! 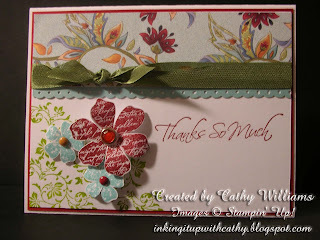 I used the Kind & Caring Thoughts stamp set (retired) for the sentiment and the Vintage Vogue set for the flowers and ivy.